...FULL SETUP....changing form .9s to .11s ....dramatic change. Hay salamat! Badong great thread!! Paulit ulit nalang eh!! pwede na rin siguro lagyan ng map to pier para wala nang maraming posts about "san ung pier guitar store??" +1 teka san nga ba exactly? 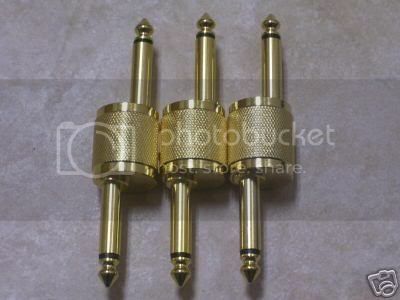 san pede mag pa-coat/finish ng guitar hardware other than chrome dazzler? My analog 101 is on the list! (cheers!) haha. Any analog/pedalboard questions and whatnot. You can always PM me. where do i find plugs like these? they're kinda different from the usual straight ones na male-to-male (ito nga ba tawag dun?) plugs. gagamitin ko sana to connect pedals from different manufacturers. mas gusto ko sana ganito instead of patch cables. thanks! MaHaSa's former bassist got his from Raon. get hot, get wild, get goddamn dead drunk. Oh, as in yung offset talaga? Last time I went there, straight lang nakita ko. serves as a table of contents! did I miss the Pickup faqs or wala pang sticky? trying it out would really be the best way to decide. la lng. ewan ko kung pwede ito dito pero since faq related ito might as well post it here since may boston thread link dito. does anyone have a link to any rj guitar related thread? speaking of male jacks, hmmm.. is there such a thing as a jack/adaptor that's 1/4 male on one end and xlr out on the other? i'm planning to have one built (or kung meron man, bibili ako) para pwede xlr out sa gigs with no amps, at xlr lang ang pwede saksakan. baka pwede to? anyone? Please dont tell me that your going to tune that standard. Tuning the ZW-Low set anywhere near DROP C is crazy, the tension will rip that neck of yours back and your bridge WILL buckle. You WILL need a complete setup, and you WILL need a new nut. The 70 gauge 6th string is nearly twice as thick as your current 6th string, and has more than twice the tension (since its a large core drop tune string) of it. Something that thick was never meant to be strung any higher than B (7th string on a 7-string) and even if it were strung at that tension, it would still be more than the tension of a .042 6th string. yup there is. seen some ready made in deeco. and im sure you can have one made in audiophile. Hmm what do you call them specifically? Daan ako Raon next week e, baka kumuha ako. Thanks! Some sites call them pedal couplers. Balitaan mo naman ako ng price at store na meron niyan sa Raon kung makahanap ka. Thanks, bud! More magnetic pull = "more volume" = less tone. Uhmm.. just a noob question:..
can i power up a boston HM and a g1x with a 9v 300mA adapter? Both? On one adapter? Medyo delikado kasi ang alam ko, 300mA yung current draw ng G1x (at least yun yung naka-lagay sa manual). Mag-battery ka na lang muna dun sa HM para safe. Or try mo yung power supply ko na 650mA. Bad Behavior has blocked 69696 access attempts in the last 7 days.